Marianne’s Salon at The Cavalier saw a couple of high-wattage guests recently: ~Kobe Bryant~ was there last week, and this week Gossip Girl star ~Jessica Szohr~ stopped in. 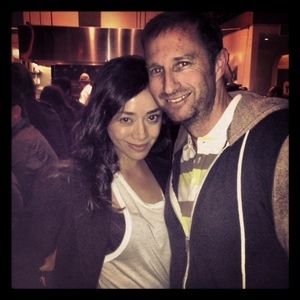 ~Aimee Garcia~, who plays Jamie Batista on Dexter, was spotted at Nopa on Tuesday night. Our spy reports that she was very friendly; she even posed for a photo.